This feature ONLY exports Names and Addresses not Transactions. 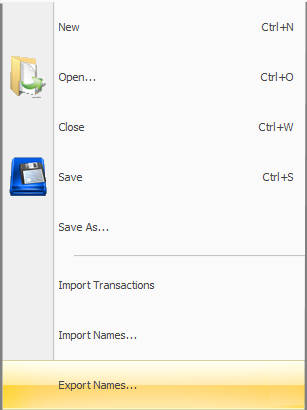 For exporting names and transactions see the Exporting Transactions section. Select Export Names Under File Menu. 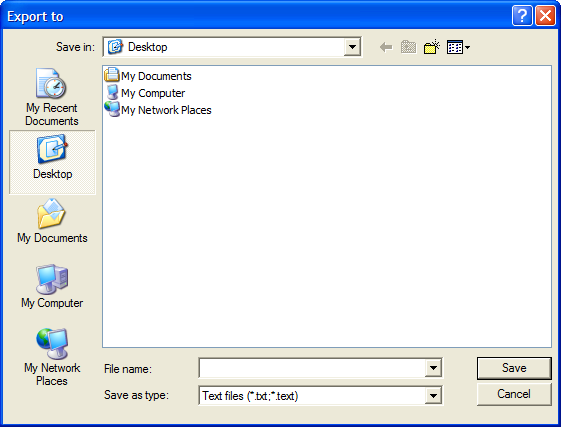 Select the location to Export the Names file and enter a new file name. The file containing the names list may now be imported to create another committee within the MERTS software or the names may also be imported to provide a names list when creating another type of committee in one of the other MERTS modules.